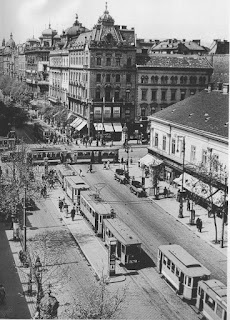 Heroes, Heroines, and History: Revival Fires in Hungary (1937-1938) & A Giveaway! Revival Fires in Hungary (1937-1938) & A Giveaway! A Message of Hope in a Time of Need - Eastern Europe, 1937-1939. Today the story moves to . 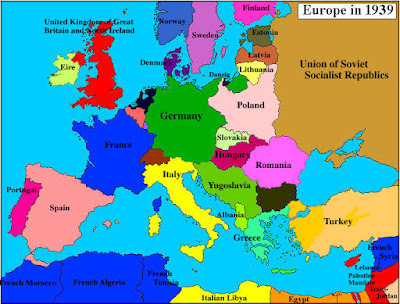 . .
After witnessing the changes taking place in the churches of Czechoslovakia, the chief physician for the Hungarian Railway, Dr. Alexander de Csia, invited Evangelist James Stewart to hold evangelistic meetings on behalf of the Evangelical Alliance of Hungary. Dr. Csia was burdened to see God work in his country, refusing to accept the attitude of many that revival in Hungary was impossible. Stewart enlisted Christians to pray “around the clock,” and the participants dedicated one hour a day for prayer. 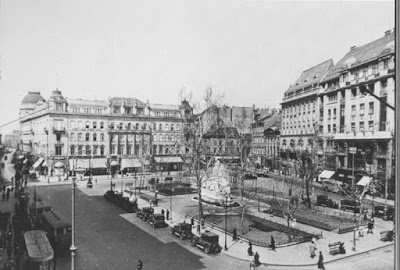 The first meetings were held in a small Methodist Hall in Budapest, but after two days the services moved to the larger building of the German Baptist Church. After two or three more days, the crowds overflowed this location. 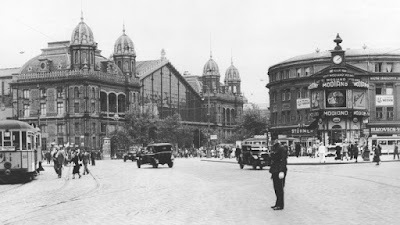 During the second week, the meetings moved to the big Reformed Church, seating 2000 people. Soon the overflow crowd had to stand in the center aisle during the entire service. Just like he had done in other Eastern European countries, Stewart had scripture choruses and gospel songs translated and printed in booklets so everyone attending the meetings would have a copy. He introduced “Into My Heart,” “Jesus Never Fails,” “Yes, I know,” “Wounded for Me” and other songs. It wasn’t unusual to hear these tunes hummed in shops and whistled by delivery boys riding their bicycles down the street. James Stewart shared the message of John 3:16 and invited those who wanted to give their hearts to Christ to leave their seats immediately and go to the front. Hundreds of people surged forward, making their way through the overflow crowd in the aisles. More prayer meetings formed in other parts of Budapest, and many Christians attended morning meetings on God’s plan for living a holy life. They left these meetings “determined to make things right in their own lives.” The campaign ended before Christmas but began again in 1938. 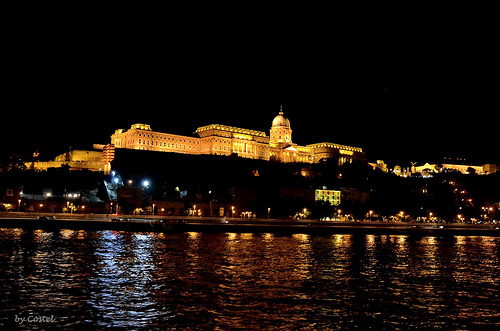 The organizers rented the biggest concert and dance hall in Budapest, the “Redoubt.” In a few days, the crowds filled and outgrew the location. And the results . . . Many people turned to Christ. Many Christians confessed sin in their lives, renewing their relationship with God and with each other. New converts attended discipleship meetings. School officials invited Stewart to speak to their students, including officials from Roman Catholic schools. Students from the Baptist Seminary and Training School in Budapest went home to their villages and spread word about the revival. Interested folks from all over Hungary extended invitations to hold meetings in their towns and cities. 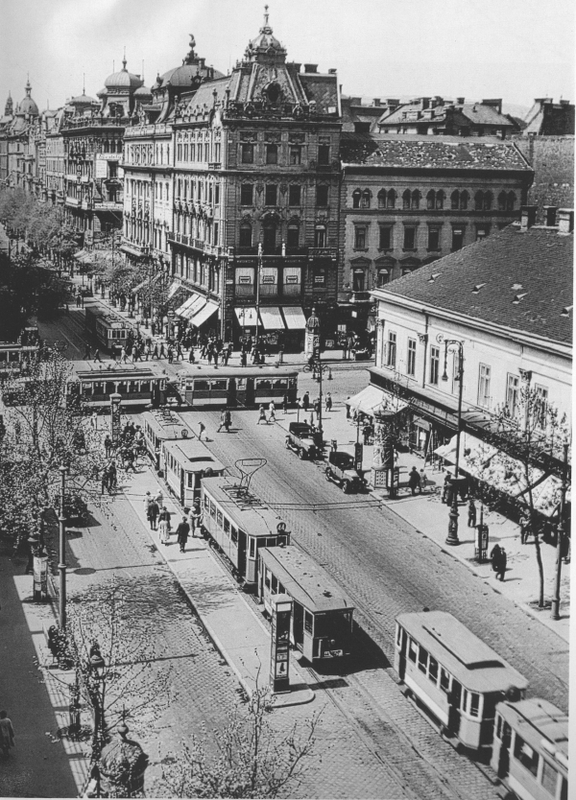 Campaigns were set up in many locations throughout Hungary. Andi Ungar, a Christian Jew, interpreted for Stewart at many of the meetings, and he and Ungar spoke as if they were one person. Anti-Semites criticized Mr. Ungar’s role in the meetings, but Stewart and the other leaders ignored the criticism. A great outpouring of the Holy Spirit took place in the city of Debrecen in eastern Hungary. Debrecen had long been called “The Geneva of Hungary” and “The Calvinist Rome.” Services were held at the Reformed Seminary, established 300 years earlier. In addition to the evening gospel services, meetings for women and girls, for children, for prayer, for youth, and for Bible study carried on day after day. Many shared of the work God was doing in their hearts. 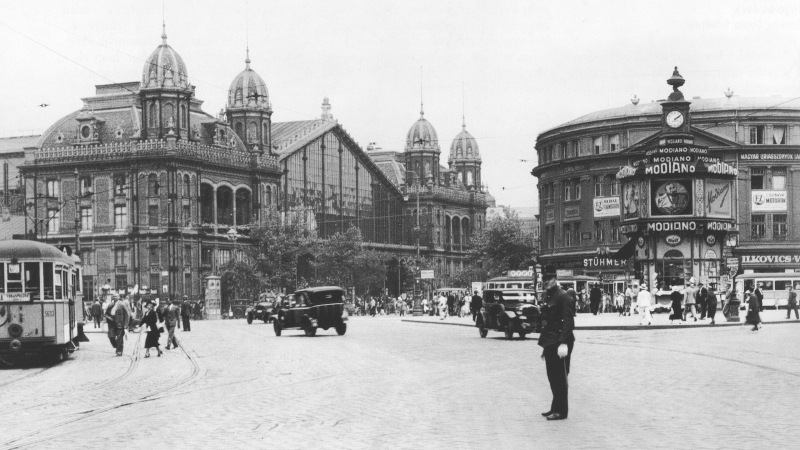 In the spring of 1938, Stewart held his last campaign in Budapest in “The Tattersall,” a horse riding academy. At the end of each day, “hired laborers quickly cleaned the huge arena, put down fresh shavings, and arranged 4000 chairs which had been rented for the purpose.” The chairs were gathered and stored after the meeting each night. Members of the Salvation Army and different Baptist groups formed a brass orchestra which accompanied the revival songs. Several thousand people attended the meetings each night during the two-week campaign. On the final Sunday, over 5000 young people from Budapest and the surrounding towns and villages gathered for a youth rally. 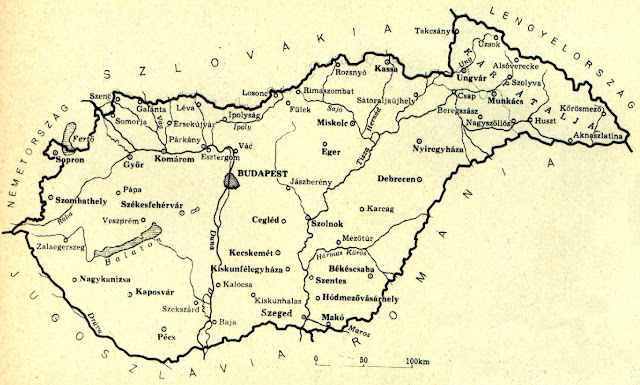 James Stewart left Hungary in 1938, but the revival continued to spread across the country, led by the Hungarian people. More souls turned to Christ. More hearts and lives were changed. 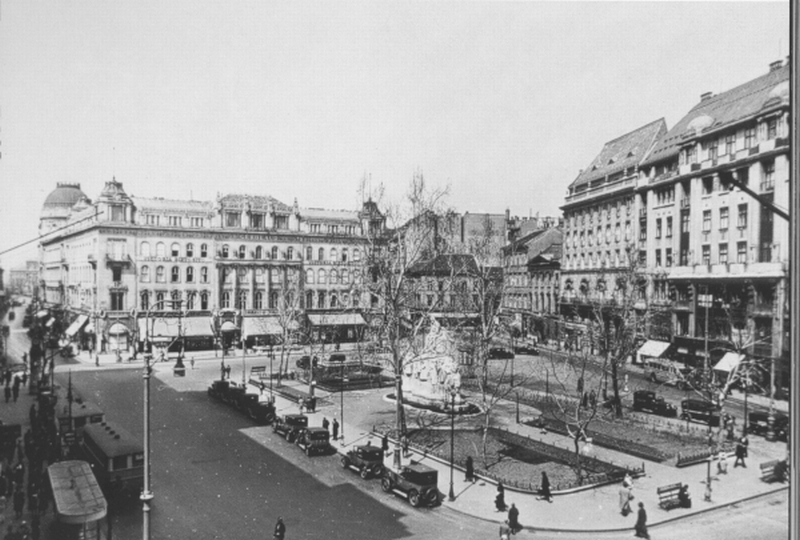 Stewart returned to Hungary for short visits in 1939, 1940, and in 1946 after WWII. He was overjoyed to witness the revival fires still burning, despite the ravages of war. Thanks for the fascinating post! I didn't know about Evangelist James Stewart. Revival is birthed through prayer. Thank you, Caryl. I was so excited to learn how the Lord used James Stewart to accomplish so much in a short time. James was in his late twenties when this story took place. Enjoyed reading about this devout man of God who did much to spread the gospel in Hungary. Thank you for acknowledging his efforts here. I've shared this post on FB. Love to have Sarah's novel. Thank you for sharing, Pat. So glad you enjoyed the post! Very interesting. I love to read of the passion of missionaries, which this man was certainly....and you don't hear much about the big camp meetings or tent revivals any more. It's always heartening to hear of the people who get a burden for their countrymen and women and share the gospel. Thank you, Connie. It really is exciting when the Lord touches hearts and then those changed individuals burn with the desire to see others experience the same touch! I was inspired by your post and learning of James Stewart and the revival efforts in Hungary, Cindy - thank you!! Thanks for the giveaway opportunity!! Thank you for your comments and for sharing on Facebook, Bonnie. Blessings to you! We need a revival like this in our own country. Thanks for sharing about this man of God. Thank you, Martha. The Lord used the impending war to open many hearts to their need for Him. I already have this book so no need to enter my name. I found this piece of history fascinating! Wished we had something like this here in the US...wow! Thanks for sharing. Thank you for sharing, Trixi. It would be wonderful to see the same thing happen in the US. How wonderful the timing of this, so the people of Hungary would have the spiritual strength they needed for the war years. 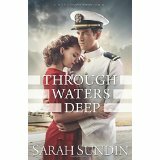 I really enjoy Sarah Sundin's books, so thanks for the chance to win Through Waters Deep. I haven't been able to read it yet. Hi, Pam. After learning that WWII caused so much devastation in Hungary and other Eastern European countries, it sure was a great blessing to discover that the Lord had visited the people in a special way beforehand. Thank you, Cindy, so much for sharing. This is so interesting and amazing. Thank you, Kay. I'm glad you enjoyed the post. Have been following your posts. Thank you for another inspiring post. It stirred my heart and made me pause and pray for Hungary and our nation. Linda, thank you so much for your kind words. I was so excited last fall when I learned about these revivals. There is hope! 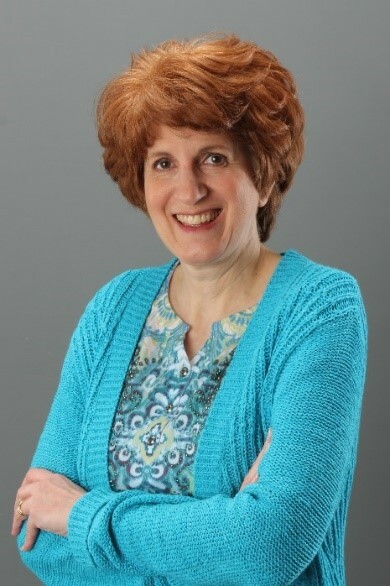 Congratulations, Caryl Kane! You are the winner of the book drawing. I will e-mail you shortly.